For years Food Processing companies have used “standard” food manufacturing equipment provided by companies that have developed proprietary systems. Proprietary often means no documentation provided. 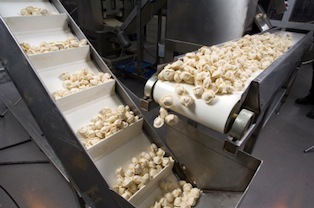 We’ve used our many years of experience providing fully documented manufacturing systems to springboard into the food processing industry and help solve a problem most food processing companies face on a daily basis. Full food contact equipment rated for high temperature and high pressure wash down environments including full documentation packages to allow the equipment to be maintained by your personnel and not require expensive proprietary food manufacturing process support. 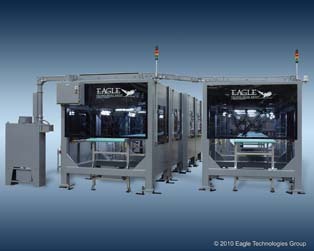 Additionally our state of the art factory automaton expertise using Servo motion control have allowed us to improve reliability and programmability by modifying old style line shaft food processing equipment and replacing the hard to adjust line shaft technology with servo motion control known as “Digital Line Shaft Technology”.